We’ve added iOS support for LiquidFun’s internal Testbed and EyeCandy applications. Earlier versions of LiquidFun could be made to run on iOS, but iOS is now officially supported. We’ve optimized LiquidFun's particle simulation. In particular, we’ve written NEON (a.k.a., Advanced SIMD) code to improve performance on ARM processors. We’ve stabilized the simulation, fixed bugs, and added some cool new functions, including one that automatically splits a particle group into multiple, disjoint particle groups. We’ve clarified and improved the documentation, thanks to questions from the LiquidFun community. The 1.1 release also includes two physics-based, open-source games from Google, currently available in the US Play Store. 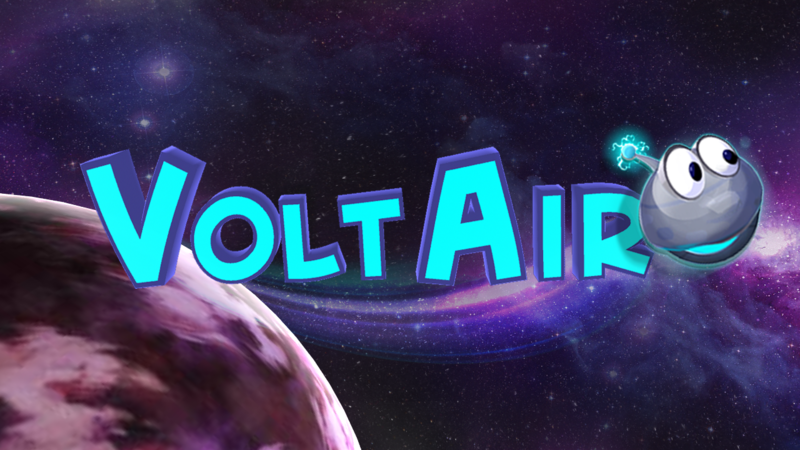 VoltAir, written in C++, is a fast platformer based on a compelling physics system, plenty of speed and motion, and interesting puzzles. If you’re a native developer, VoltAir’s source code is a great example of how to use LiquidFun. 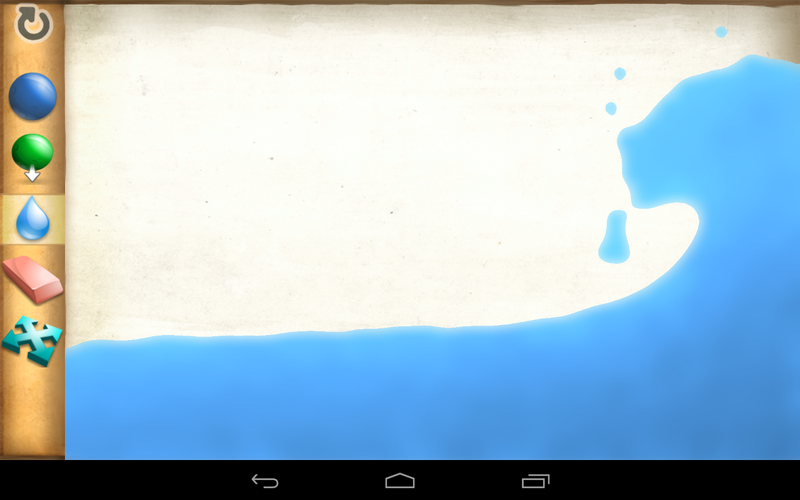 The second game, LiquidFun Paint, lets you create art that moves, shakes, and delights. It is written in Java, and uses LiquidFun via SWIG bindings. 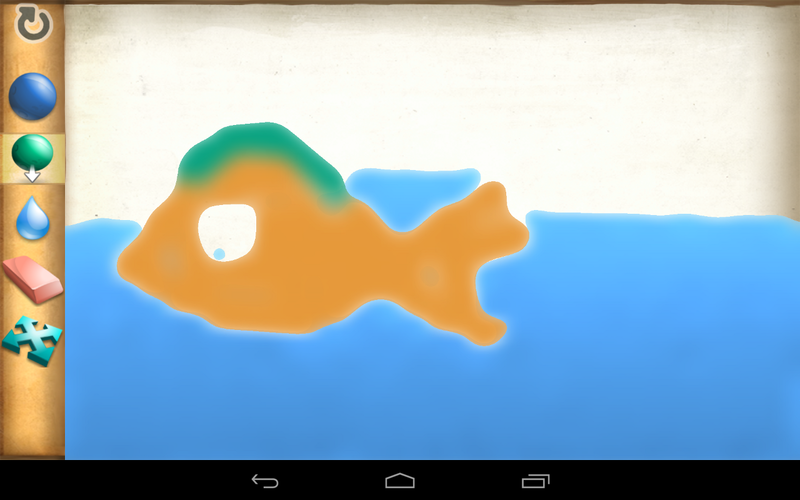 If you’re a Java programmer, you may want to peruse the source code of LiquidFun Paint. 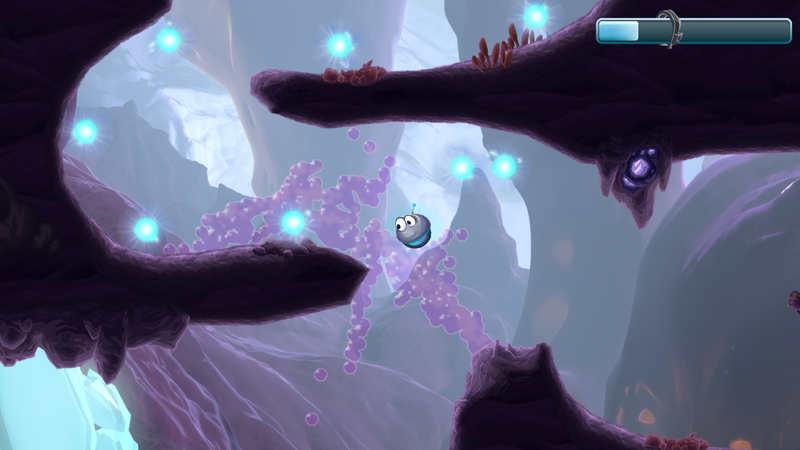 Several other games also have incorporated LiquidFun since its initial 0.9 release last December. One such game is the beautiful Battle of the SeaSons, written by three students from the technology university ETH Zurich. Our March 2014 release of LiquidFun 1.0 has already been integrated into several game development toolkits. 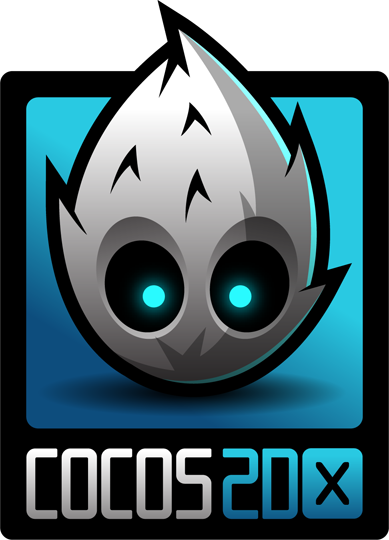 Industry legend Ricardo Quesada has created an excellent tutorial on how to use LiquidFun with his popular Cocos2D-X engine. Corona Labs has integrated LiquidFun into Corona Pro and Enterprise. They also have two fantastic tutorials on using LiquidFun with Corona: one an introduction, and another for particle collisions. YoYo Games has integrated LiquidFun 0.9 into GameMaker: Studio, and provided an excellent tutorial on the basics of particle systems. LiquidFun is also now a built-in component of the Lobster game programming language. If you’d like to learn even more about how the LiquidFun particle simulation works, you may enjoy our new presentation describing the tech and algorithms, Inside LiquidFun.